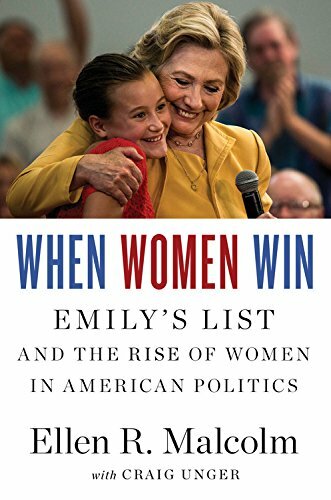 [PDF] When Women Win: EMILY's List and the Rise of Women in American Politics | Free eBooks Download - EBOOKEE! Posted on 2017-10-04, by luongquocchinh. Description: In 1985, aware of the near-total absence of women in Congress, Ellen R. Malcolm launched EMILYâ€™s List, a powerhouse political organization that seeks to ignite change by getting women elected to office. The rest is riveting history: Between 1986, when there were only 12 Democratic women in the House and none in the Senate and now, EMILYâ€™s List has helped elect 19 women Senators, 11 governors, and 110 Democratic women to the House. Incorporating exclusive interviews with Hillary Clinton, Nancy Pelosi, Tammy Baldwin, and others, When Women Win delivers stories of some of the toughest political contests of the past three decades, including the historic victory of Barbara Mikulski as the first Democratic woman elected to the Senate in her own right the defeat of Todd Akin (â€œlegitimate rapeâ€) by Claire McCaskill and Elizabeth Warrenâ€™s dramatic win over incumbent Massachusetts senator Scott Brown. 2017-12-28[PDF] When Victims Become Killers: Colonialism, Nativism, and the Genocide in Rwanda. No comments for "[PDF] When Women Win: EMILY's List and the Rise of Women in American Politics".